A new two hour documentary about INGRID BERGMAN was due to be screened at the London Film Festival on 17th October,2015, with a subsequent limited release in America on November 13th at New York’s Lincoln Plaza and in the Nuart in Los Angeles on December 11th. 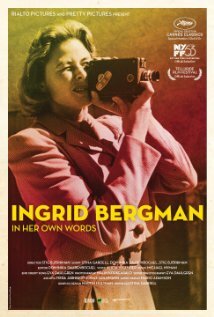 Made by Swedish director,Stig Bjorkman, it focuses on Ingrid’s private life,utilising 8mm and 16mm film that Ingrid herself shot throughout her life. It also uses extracts from her letters and diaries, and features interviews with all of her children. I can’t wait to see it and hope it gets a general release and also on DVD in the future. 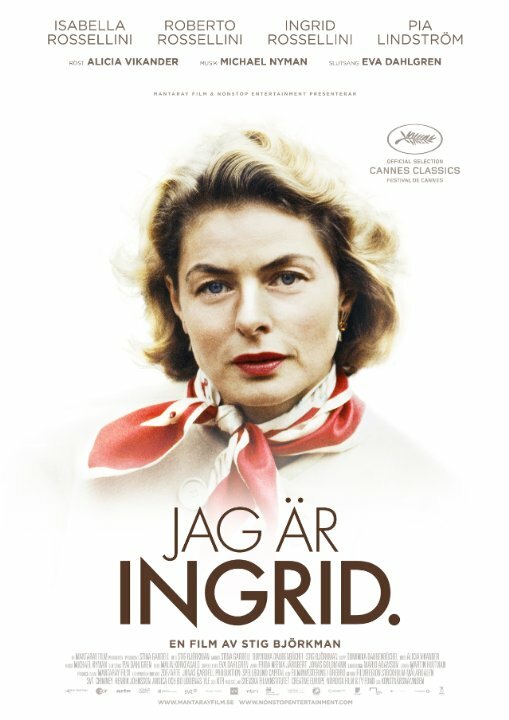 The original title of the feature length documentary is JAG AR INGRID (I Am Ingrid), but the world wide English title is INGRID BERGMAN IN HER OWN WORDS. It was first screened at the Cannes Film Festival in May,2015 to mark the centenary of Ingrid’s birth. The trailer for the documentary can be seen on You Tube. I also found a fascinating interview on the Larry King Show in 2002, with Ingrid’s three daughters, Isabella and Ingrid Rossellini and Pia Lindstrom. One to watch out for! She had such great screen presence and humanity. You might enjoy the, ‘I happen to be a Swede myself’ post on the immortal jukebox where Ingrid stars! Regards and thanks for so many fascinating posts. Thom. Enjoyed your post on the famous Swedes.